Last week Corlette and I had the privilege of spending three days teaching relational wisdom to some of the most committed and effective Bible teachers in the world. 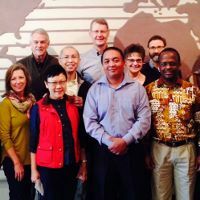 Bible Study Fellowship’s global network of classes reaches over 300,000 people every week with in-depth Bible studies that are respected across denominational lines. I’ve met countless people over the years who’ve told me how their knowledge of the Bible and their love for Christ were transformed through a BSF class. One of the great benefits of this kind of rigorous Bible study is how it deepens one’s “God-awareness,” which is the foundational characteristic of relational wisdom. The more deeply people study God’s Word, the more amazed they are by his character, purposes and deeds … which propels them to a deeper and richer relationship with him and the people around them. Therefore, I strongly endorse Bible Study Fellowship and commend their classes to anyone who wants to develop a deeper understanding of the Bible and a more passionate love for Christ. The conference we attended was BSF’s annual gathering of their 110 Area Advisors, who oversee teaching teams for 1,100 classes in thirty-nine nations. Why would a ministry of this size and maturity decide to block out seven hours of their limited time together to study relational wisdom? 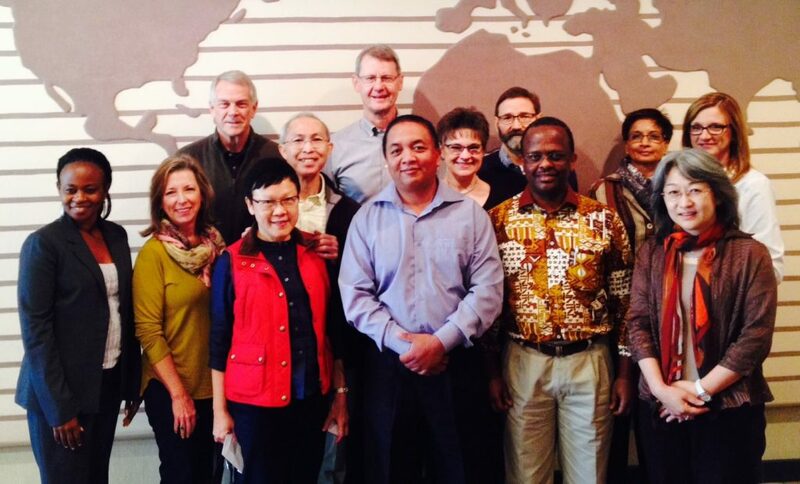 Many of these Advisors have been with BSF for over thirty years, and all of them are seasoned Bible teachers. They are highly skilled at hermeneutics, exegesis, teaching, and planning. But they realize that these technical (hard) skills are not enough to ensure optimum performance in their role of recruiting, training, motivating and managing the people they oversee. To be consistently successful in their leadership roles, they realize they must also cultivate relational (soft) skills, which include the capacity for listening, empathy, kindness, encouragement, teamwork, problem-solving, and conflict resolution. The more Area Advisors develop and practice these relational skills, the more likely class leaders will be to welcome Advisors’ visits, seek their counsel, acknowledge struggles and mistakes, and even to receive correction. Best of all, as Area Advisors model relational wisdom to class leaders, those leaders can be inspired to model the same skills to the people they teach. This can strengthen relational bonds within BSF classes and inspire students to return week after week … not only for exceptional Bible teaching but also for the love and personal encouragement that reflects the presence of Christ. You’ve probably invested sixteen or more years learning technical (academic, vocational, and professional) skills. But what about your soft skills, your relational skills? How much time have you devoted to deliberately learning how to read, understand, encourage, engage and resolve differences with others? Think of how these soft skills might enhance your hard skills … how they could make you more effective at serving God wherever he’s placed you … whether at home, in church, in an office, or on the mission field. 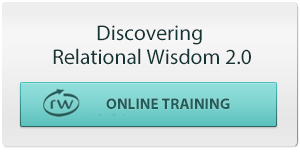 Then take advantage of our online 101/102 RW Personal Study Course, our 201/202 Advanced Training Program, or the services of one of our Certified RW Instructors to bring your relational skills—and those of any group you lead—to a level that expands your ability to reflect the relational excellence of Christ. How much time and effort have you devoted to developing your “hard skills,” whether for gourmet cooking, piano, golf, math, teaching, business, or health care? How much time have you devoted to deliberately developing your relational skills? How might improving your relational skills actually enhance your various interests and life callings? Why should Christians be especially committed to improving their relational skills? (see John 13:34-35; John 17:20-21). How can relational skills enhance our witness for Christ? If there was one relational skill you could improve in the next three months, what would it be: God-awareness, God-engagement, Self-awareness, Self-engagement, Other-awareness, or Other-engagement?